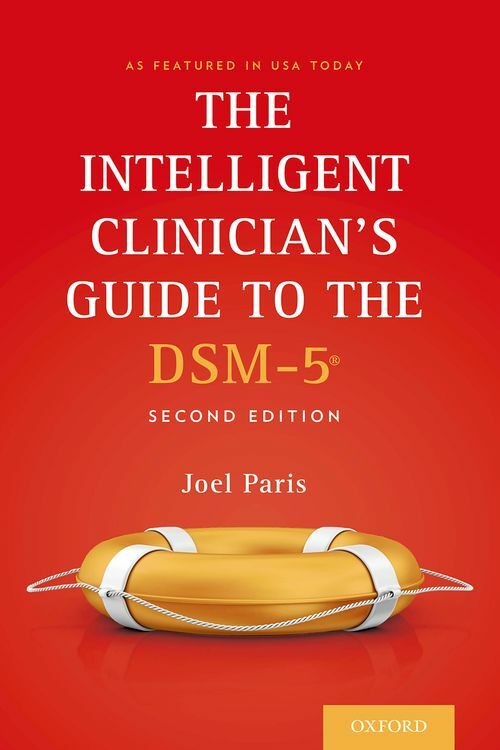 The Intelligent Clinician's Guide to the DSM-5(R) is the second edition of the widely-read book first published in 2013. This second edition is thoroughly revised, and has several new chapters describing the response to the publication of the new manual, as well as suggestions on its use in clinical practice. The Intelligent Clinician's Guide to the DSM-5(R), Second Edition reviews the history of diagnosis in psychiatry, emphasizing the limitations for classification of our current lack of knowledge of the causes of most mental disorders. It emphasizes that, in the absence of biomarkers, current categories can only be considered provisional. It takes a critical look at schema for spectra and dimensionaliztion of diagnosis, examines the borders between normality and psychopathology, and discusses the problem of clinical utility. The book has chapters on all the major diagnoses in psychiatry, in which the main problems of diagnosis are addressed, and in which all changes in DSM-5 are described.